On November 16 Wai Kuen Kwok was standing on the NYC subway platform with his wife. They were headed for dim sum in Chinatown. But they never made it to Chinatown because Mr. Kwok was fatally pushed onto the subway tracks into the incoming D train. The train was unable to stop in time and Mr. Kwok was killed in this random act of violence. This is not about the assailant. This is about remembering Mr. Kwok, a good family man, and about supporting a hurting family in their time of need. The Kwok family is now making the necessary funeral arrangements. Our goal is to raise as much money as possible to help offset the costs of the funeral. The money that is raised will go directly to the Kwok family. Would you please consider giving to this family as a show of your support? No amount is too small. Thanks, everyone, for your support of the Kwok Family! "Our family would like to extend our gratitude for all the support we have received during the difficult time. The words of condolence and financial contributions have been truly humbling and will help our family tremendously as we attempt to plan for the future and move forward from this tragedy. Please continue to keep us in your thoughts and prayers." Your kind words and financial support have been a great encouragement to the Kwoks. I will wrap this campaign up on Wednesday night so that the family can allow this chapter of their lives to close and begin a new chapter on Thanksgiving Day. Thank you all for making this campaign a success. Please feel free to continue to give until the end of the campaign as I know there will still be expenses for the family in the months ahead. We exceeded our goal! Thank you all so so very much for your generous giving. 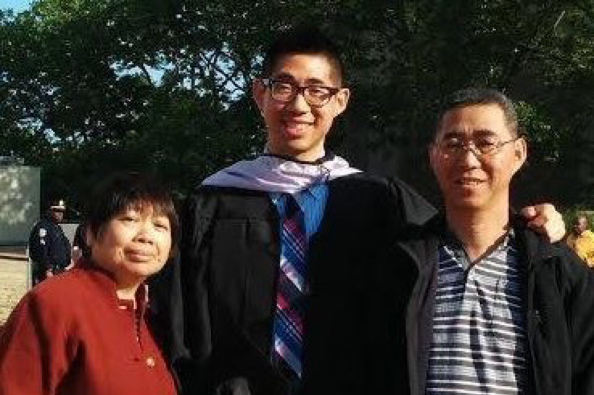 The outpouring of kindness has been a constant reminder to the Kwok family of all the people who are standing with them during this time. Even though we have reached our goal please feel free to continue giving if you feel inclined to do so. Let's honor Mr. Kwok and support the Kwok family through our gifts and sympathies. I am Aaron Chan from New York City and Mr. Kwok's son, Gary is a really good friend of mine. All of the money that is raised here will go directly to the Kwok family to help pay for the funeral expenses. Please understand that this is a sensitive time for the family and kindly honor their requests for privacy. Thanks!